The Shepherd’s Crown arrived; I already wrote about its unboxing and shared some photographs. One of my 9th grade students drew what I’m calling “Sumerian Olaf”. 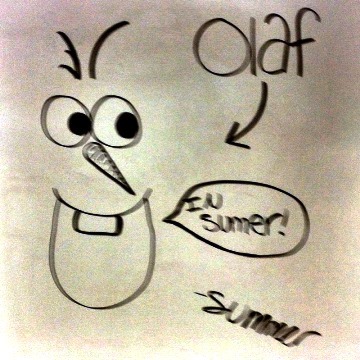 Yes, she simply misspelled “summer” but also realized her unwitting pun and asked me to take a picture before erasing it. 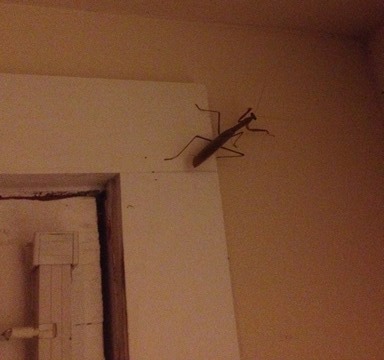 A very large praying mantis came to visit; this dude measured at least 8 inches long! We moved him safely outside before the cat did something mean to him. 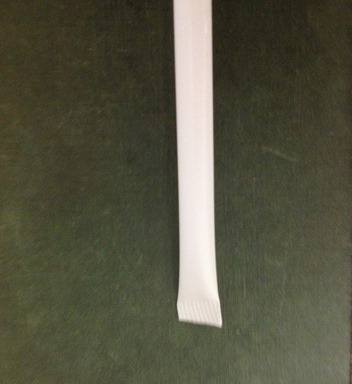 I picked up an uncut straw from Subway. Seriously, straw machine – you had one job . . . one job! World History students presented their explorer reports; one group made a spice game: students had to guess what a spice was based on color, texture, and smell. The spices included cardamom, cinnamon, ginger, pepper, and turmeric. The group was about to throw away the piles when I noticed how they’d run together on the plate. 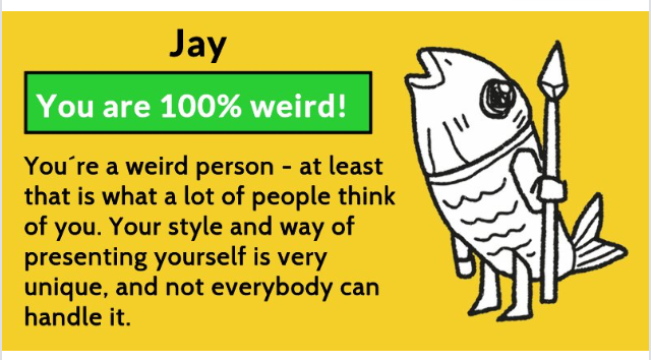 Just for fun I participated in one of those silly Facebook “quizzes” that assigns you random results based on your name. 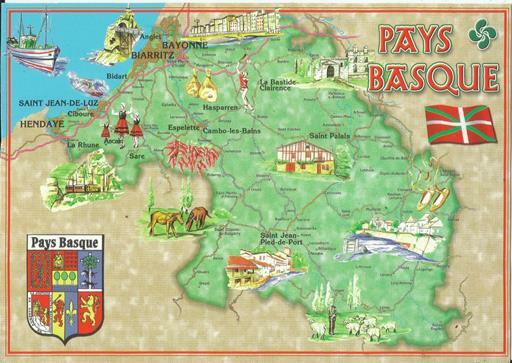 This time, I liked the results. 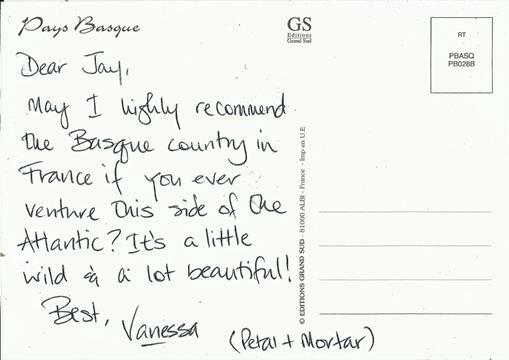 The mailman brought a surprise on Saturday: a postcard from fellow blogger Vanessa of Petal and Mortar!